I’ve been in a strange place, emotionally, for the past couple of months and very determined to not read anything I didn’t absolutely want to read. What that ended up being was a whole load of my favorite fan fiction. I’m still debating on posting mini reviews of my favorite “I’m in a damn funk” reading material but for now, here’s my review of Snowbound by Cari Hunter. 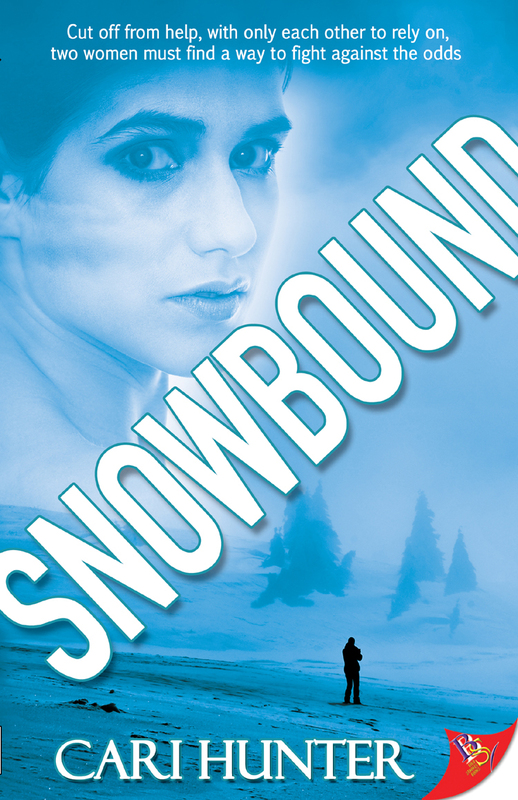 The reason I broke out of my Damn Funk reading phase is because Snowbound was the Mostly Lesfic Book of the Month selection and we’re getting together in a few days to discuss it. Being the HBIC of the Hangouts, I figured it’d be a good idea to read the book being discussed. Now, I had heard plenty of good things about the book from friends whose opinions I trust but I still had a hard time motivating myself to read another Cop/Doc romance. As I know many of you have seen me write before… I’m so happy I had a reason to be pushed into reading it. Here’s a bit of what the book is about: Officer Sam Lucas gets taken hostage after a jewelery store heist goes wrong. Doctor Kate Myles gets called to the hideout when Sam smashes one of the abductors in the head and his brother calls the cops because he’s afraid his little bro is about to die. He uses Sam as leverage to get the doctor to them and in negotiations to get him and his brother out of town. I think the blurb on the back of the book is a little misleading because there really wasn’t much in the way of growing attraction between the characters during the hostage situation. What they did have growing was their bond brought about by trying to survive, literally, the situation they found themselves in. I thought this book was great. It grabbed me from the first page and kept me on the edge of my seat until nearly the end. I love the British feel of it and enjoyed the writer’s style tremendously. And it turns out that I had nothing to worry about along the lines of the standard police/medical romance because, beside giving the characters the ability to be placed in certain situations, this wasn’t about a cop and a doctor; it’s about two women who are nearly killed and grow to love each other. I felt the author did a wonderful job of placing me in the room with the characters. There wasn’t much time devoted to character background or secondary characters and I didn’t miss it at all. I think that’s one of the main reasons the story was able to move as quickly and tightly as it did. We got enough but never too much. So if you’re looking for a very well written, fast paced, lesbian romance – heavy on the action and blood and light on the romance – this is one for your ereader or bookshelf.